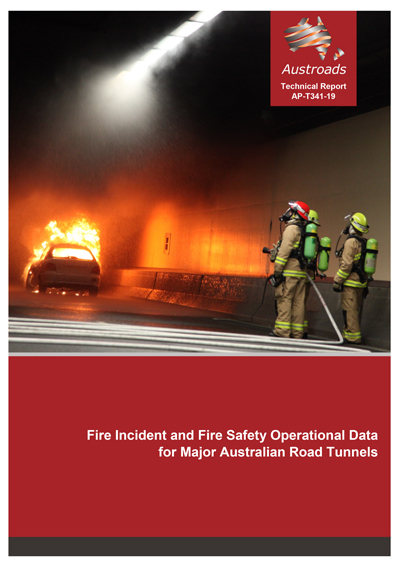 Austroads’ latest report provides a detailed reference document for fire incidents and fire safety operational information for eleven major road tunnels in Australia. The eleven major road tunnels which form the basis of the study are all more than 1km in length, have high traffic volumes, are in an urban location, and are monitored and controlled through a continuously staffed control centre. As the incidents are logged through the operational management control system, the data collected is highly accurate and includes minor incidents. The high-quality data set captures extensive information about 78 fire incidents in Australian road tunnels. The data capture extends from the opening date of the Sydney Harbour Tunnel which opened in August 1992, to include subsequently opened major tunnels and their operation up to and including June 2016. The information provided includes the frequency of fire incidents, the types of incident vehicle, the estimated fire size, the means of detection, the way the fire was extinguished, the time it took to extinguish the fire and reopen the tunnel, and whether operators deployed an emergency evacuation of the tunnel. It is envisaged that this specialised data set will be used as a reference in both the development of projects to inform designs and design standards, and in tunnel operations to demonstrate the effectiveness of the fire safety measures deployed. It captures the extent of use of fixed fire fighting (deluge) systems and so can be used by an international audience considering the use of these systems. The study identified a need for a consistent method of reporting on fire incidents using pre-determined terminology. While Australian Standard AS2577 provides a process it is considered too complex for this purpose. A simplified fire incident questionnaire is included in the report, to enable future incidents to be easily added to the base data set. It is envisaged that the data will be periodically updated to reflect the continued operation of the existing eleven major tunnels. Future versions will also include road tunnels opened after July 2016 such as the Waterview Tunnel in Auckland.